I went to a Japanese teishoku restaurant, Yayoi (Yayoi-ken). 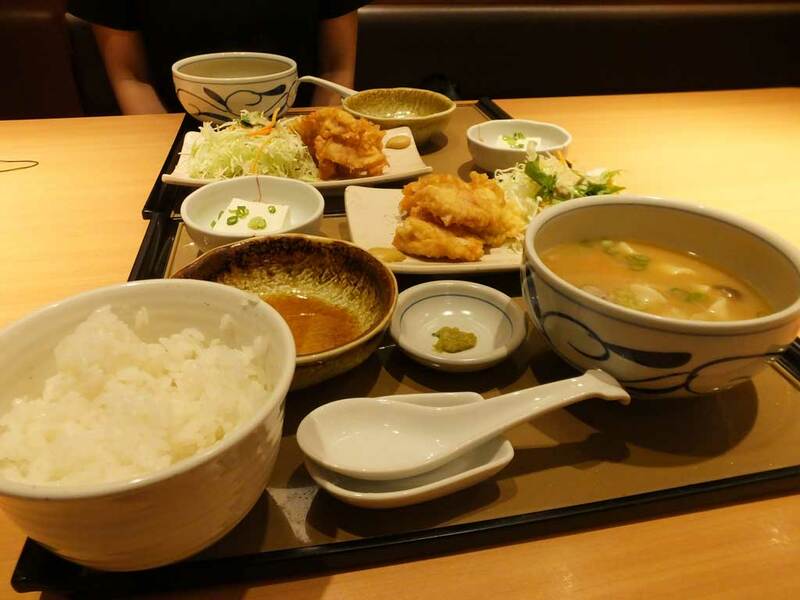 Teishoku is a Japanese combo meal. I ate local food of Oita Prefecture, chicken tempura and dango soup.